A 2015 London School of Economics study that looked at over 140,000 students across a decade found that when phones were removed from the classroom, test scores went up 6 percent. For students with special needs or those from challenged socioeconomic backgrounds, test scores went up a whopping 14 percent when distracting phones were eliminated. Increasing the quality and quantity of an individual’s education is seen by many as a panacea to many social ills: stagnating wages, increases in inequality, and declines in technological progress might be countered by policies aimed at increasing the skills of those who are in danger of falling behind in the modern labour market. In the study’Job Loss at Home: Children’s School Performance during the Great Recession in Spain’, researcher Jenifer Ruiz-Valenzuela, of the Centre for Economic Performance of the London School of Economics, says that the loss of work of the father can lead to a "deterioration" of the educational performance of the children. More than 90 per cent of teenagers have mobile phones, but a study by the London School of Economics claimed schools where they were banned saw test scores rise by an average of 6 per cent. WE were told that the drive to convert schools into academies would boost choice, results and quality. However, a new study by the London School of Economics casts doubt on the Government’s determination to see all state schools in England pushed towards academy status. The conversion of primary schools into academies has not boosted pupils' performance, according to research. All primary and secondary schools in England were given permission to be run independently of local government in 2010 in an attempt to drive up standards. But a London School of Economics study has found no evidence to support a benefit to primary students' results during the first two years of "academisation". NEW research shows the conversion of primary schools into academies has not boosted pupils' performance. All primary and secondary schools in England were given permission to be run independently of local government in 2010 in an attempt to drive up standards. But a study by the London School of Economnics has found no evidence to support a benefit to primary students' resutls during the first two years of "academisation". Researchers from the Centre for Economic Performance at the London School of Economics looked at the test performance of 270 primaries, which had converted between September 2010 and April 2012. They compared pupils’ test scores in the academic years 2006/07 to 2013/14 in these schools with a control group of schools that converted in the 2014/15 or 2015/16 academic years. The results showed pupils enrolled in a school prior to it becoming an academy did no better in their KS2 tests than those sitting the same exams at comparable schools, “irrespective of the Ofsted grade of the school before it converted”. Pupils at early conversters to academy status did not outperform children at schools that converted later, according to LSE research. “The results cast doubt on whether further expansion of the academies programme will be beneficial to English education,” said Andrew Eyles of the LSE’s centre for economic performance and one of the report’s authors. A study carried out by the Centre for Economic Performance at the London School of Economics shows that these students have a positive effect on the English students. "Data from the Catholic schools, which attend children Polish immigrants show that the presence of foreigners can have a positive effect on the children of natives of our country," said Prof. Sandra McNally of Surrey University. Prof. McNally said, too, that this may be due to better standards in schools in Poland as well as the ethics of their parents, who have left their homeland to seek employment in the UK. The larger the bursary a student receives, the more likely they are to get a good degree, according to a major study. Researchers found that each additional Â£1,000 of financial aid awarded to undergraduates at nine English universities increased their chance of getting top marks (a first or a 2:1) by 3.7 percentage points, with about half of this owing to improved retention, and the rest attributable to higher test scores. Significantly, students from the most deprived backgrounds benefited the most, with the estimated impact of larger bursaries on the poorer half of the sample being about six times greater than the cohort as a whole. Undergraduates with higher prior attainment derived two to three times greater benefit than their course mates with lower school grades, according to Gill Wyness, lecturer in the economics of education at the UCL Institute of Education, and Richard Murphy assistant professor of economics at the University of Texas at Austin. The capital's schools are the best in the country. Can they be copied? According to a report last year by researchers at the Institute for Fiscal Studies and the London School of Economics, one-sixth of the improvement in central London schools was the result of growing numbers of ethnic minority children, who everywhere in Britain tend to do better in exams and improve more while in school than white pupils. Some also suggest that inner London's startling gentrification has played a role, attracting better teachers to the capital and pushing out poor families, whose children tend to be less swotty. Furthermore, according to Swati Dhingra of the London School of Economics, gravity models do a good job of predicting actual trading relationships today. A report by the London School of Economics this year showed that there was no correlation between an increase in immigration and the recent dip in wages. While wages have fallen in recent years and immigration continued to rise, wages were also rising while immigration was rising. Will you harm your child's academic progress if you buy them a new iPhone 7? Last year, a study by the London School of Economics claimed schools where mobile phones were banned saw test scores rise by an average of 6%. Perhaps a study should look at the gains such a move could make when it comes to children's emotional well-being. I can't help thinking it would be worth more than 6%. In brief ... Phone home: should mobiles be banned in schools?, Louis-Philippe Beland and Richard Murphy, CentrePiece Volume 20, Issue 1, Summer 2015"
A separate analysis by the London School of Economics suggested the welfare losses of moving to the WTO rules in a ''big bang'' would be up to 3.5 per cent of GDP per head instantly. ''The fact that the country is in some way being told to be prepared to face what we regarded as a very pessimistic outcome is quite discouraging in itself,'' said Gianmarco Ottaviano of the LSE. John Van Reenen, a former colleague of Ottaviano and now Professor of Economics at MIT in the US, said trading under WTO rules would be a ''truly dreadful outcome for British people''. Even [Sadiq] Khan's predecessor Boris Johnson campaigned with several plans to build 55,000 new homes in London and to slow down the price increase caused by demand pressures. Up to the end of his tenure, he failed. Khan says ''Our city needs more than 50,000 new apartments a year''. Paul Cheshire, real estate expert and former Professor of geography at the London School of Economics (LSE), already had been critical of Johnson's plans and also thinks Khan's promise is hard to meet. ''The goal is indeed desirable, but to achieve it, one would need a magic wand,'' Cheshire said. A 2015 research paper by the Centre for Economic Performance at the London School of Economics found that student test scores improve by 6.4 percent when cell phones are banned at schools and that there are no significant academic gains when the ban is ignored. A study by the London School of Economics showed schools that ban students from bringing phones to class see an improvement in test scores by an average 6.4 percent. ...UK-wide, we have increased our school leaver intake by 47 per cent because we have already started to see the positive results that increased social mobility and diversity can have on both your bottom line and wider society. ... Recent research from the Centre for Economic Performance suggested that Britain has roughly the same levels of social mobility as the United States, but trails other nations with similar demographics and economic history, such as Canada, the Nordic countries and Germany. Even more concerning is the evidence that our standing in this field is heading in a downward trend. Tax-free childcare is on the way - but will your family be any better off and how will it compare to childcare vouchers? The likely Locus of search robots and packaging of 25 thousand square meter warehouse helps to increase the productivity of the warehouse up to 800 percent. A previous study of Georg Graetz scientists and Guy Michaels (UK) shows, the robot had much contribution to the increase in labour productivity. Conducted survey of 14 production-mainly in the industrial sector-in 17 countries (including the United States, 14 countries in Europe, South Korea and Australia) in the years 1993-2007, the research team discovered the density using the robot for the hours of work of all of these countries have increased 150 percent. But the IFS estimates that retaining single market membership could be potentially worth 4 per cent of GDP permanently to the UK economy relative to WTO terms by 2030 - equal to two full years of trend growth. They based this figure on long-term estimates from other forecasting organisations such as the London School of Economic's Centre for Economic Performance and the National Institute for Economic and Social Research (NIESR) of the long-term negative impact of Brexit on UK growth. Education is not just a vital cornerstone of our culture and economy, it is also potentially one of the great social levellers. However rich or poor our parents, however supportive or dysfunctional our families, a high-quality education ought to give each of us the opportunity to live a fulfilling life limited only by our own talents and efforts rather than by the circumstances of our birth. Or so the theory goes. In this post we look at the question of economic deprivation among children, and in particular how different types of schools either enable or hinder opportunities for those from poorer families. ... The rest of this post looks at these trends in more detail. You may also be interested to see other related work such as the Sutton Trust's recent analysis of social selection in primary schools, Ofsted's 2013 report on underachievement among poor pupils, and the LSE's 2012 research into the effects of schools on house prices. Brian Bell and John Van Reenen of the London School of Economics' Centre for Economic Performance have carried out a similar exercise looking at top bosses' pay at 500 large listed UK companies between 1999 and 2014. Unlike in the MSCI study, the two researchers did find that executive pay was correlated with stock market performance over the period. This finding is mirrored at least in part by a study of sponsored academies established under the previous Labour government, conducted by the London School of Economics, which argues that the impact of conversion should be analysed at pupil level because, on average, academies began admitting higher ability pupils after conversion. The academies did have a positive impact on pupils who were enrolled prior to conversion, however, and the evidence suggests that headteacher replacement, changes in management structure and curriculum change were the key factors underpinning this improvement. Income inequality has risen throughout the advanced world. Various explanations have been suggested for this, but these tend to focus on who you are. This column shifts the focus to where you work. Data from the US reveal that over the period 1992-2007, two-thirds of the rise in earnings dispersion was due to increased variation across establishments. Moreover, almost 80% of the increase in earnings dispersion among workers who remained at the same establishment from year to year was due to a widening of wages across establishments rather than within establishments. That is to say, technical parts of the economy made great contribution to productivity growth. In 2015 a 17-country study found that between 1993 and 2007, average annual GDP growth rate of the robot industry for these countries has contributed 0.4%, this time the national GDP growth rate of more than one-tenth (Graetz and Michaels 2015). Yesterday the Education Policy Institute, in partnership with the Sutton Trust, hosted the 'Academies: 15 years on summit'. This was an opportunity for researchers, policy makers and system leaders to come together and consider the latest evidence on the impact of academies on pupil outcomes and what Government should do now. Dr Olmo Silva presented the work that he, Professor Stephen Machin, and colleagues at LSE have carried out at a system level. This work, commissioned by EPI, looked at the impact of pre-2010 sponsored academies and provided the first robust analysis of the impact of post-2010 secondary converter academies. They found positive impacts for the early sponsored academies, with improvements that were equivalent to five grades across a pupil's GCSE subjects. They also identified positive effects for converter academies that had previously been rated as outstanding - equivalent to about two grades across a pupil's GCSE subjects. But they found no effect for converter academies previously rated as good or satisfactory. Given that such schools make up around two thirds of converters, this is a worrying finding. Are economists at fault for Brexit? John van Reenen, the outgoing director of the London School of Economics’s Centre for Economic Performance, doesn’t think the profession should be too down on itself. Had economists engaged more "in my frank view, it would not have made a jot of difference". Are phones a blessing or curse for students? A new study on students' test performance and smartphones found kids who attend schools with smartphone bans did better on tests - even more so if they were struggling academically before the ban was instituted. Researchers at the London School of Economics gathered test scores from thousands of 16-year-old between 2000 to 2012, studying the effects of cell phone bans on schools. They found that the bans boosted test scores by six per cent. If a child was previously academically under-performing, their scores improved up to 14 per cent. Dr Richard Murphy, the assistant professor of economics at the University of Texas and co-author of the study, said, ''Our conclusion is that unstructured use of phones in schools has a negative impact, mainly for kids at the bottom half of the class. Schools should consider having a policy restricting phone use''. After years of debate over the effectiveness of academy status, the Education Policy Institute has now released data which it says shows the causal impact of academy status on school performance. Editor Laura McInerney explains what the researchers found. Does academy status lift performance in schools? It's a vital question given the country is spending millions changing schools into academies. So far there had been no answer. But a new report, commissioned by the Education Policy Institute and published today, finally provides some. 1. It seems that Labour forcing badly performing schools to become academies before 2012 was a good thing. 2. It also seems that, after 2010, letting outstanding schools convert into becoming academies was also a good thing. 3. For everyone else after 2010, becoming an academy doesn't seem to have had much effect. In fact, it might have made things a tiny bit worse. New research has found ''no evidence'' that academy status leads to better grades for pupils at schools rated good or satisfactory. The study, by the London School of Economics and the Education Policy Institute (EPI), found pupils' performance at schools already rated outstanding when they converted, totalling 390 institutions, saw a ''statistically significant'' rise in grades. The research also found that Coalition-era academies had a lower impact on performance than the Labour-style sponsored academies, which were introduced in 2002 to help struggling schools. But how worried should we be that political and financial uncertainty will feed through into the real economy? Stanford University economist Nicholas Bloom has been studying the impact of uncertainty on economies over the past decade and believes there is a link. He and colleagues have produced a neat set of "uncertainty trackers" for several countries that track mentions in articles of "uncertainty" or "uncertain" combined with references to the economy. The uncertainty index in Britain hit a record high during the Brexit debate and is at double the level of the Global Financial Crisis. Another from the London School of Economics found that people who regularly walked briskly for half an hour or more had smaller waists than those who went to the gym or did tougher sports such as jogging and rugby. In the three cases the fall of GDP in per cent, following the same order, would be 3.8, 6.2 and 7.5. Similar results obtained for the same scenarios the report of the Centre for Economic Performance of the London School of Economics. Which Management Practices Are Most Beneficial To Firm Performance? Along with colleagues Nicholas Bloom, Stanford University, and John Van Reenen, London School of Economics, Sadun challenges this view in a new National Bureau of Economic Research working paper, Management as a Technology? What does the UK's decision to leave the European Union mean for the future of the single market? Economists talk of sustained market turbulence, devaluations and an imminent recession, but will it be Britain or the EU suffering the worst effects long-term? And as eurosceptic political parties across the continent are buoyed by the UK's vote and call for their own referendums, what must the EU project itself do to survive? Ed Butler is joined by three guests from across the EU: Damien Lempereur from Debout La France, a political party which wants a French exit from the EU; Jens Zimmerman, a member of Germany's Social Democratic Party and part of Angela Merkels coalition government; and Swati Dhingra, from the London School of Economics. The decision left the United Kingdom society of the European Union does indeed have fueled new uncertainty. ''Businessmen reluctant to take new decisions or affect investments, because of the uncertainty for the future,'' said the Director of the Centre for Economic Performance at the London School of Economics, John Van Reenen, as reported by the New York Times, Friday (24/6). The complete set of CEP Brexit Analysis papers is available in one publication. Download from here. First views on the global economic impact of such episode refer to one (even minor) world growth rate. Thus for example claimed John Van Reenen of the London School of Economics, who said the effect ''disincentive'' to investment by the immediate context of uncertainty generated by the Brexit. Research by the London School of Economics in the report ''Life After Brexit'' is warning Britain would most likely fall into recession if it leaves, as a myriad of agreements unravel over several years. French launch #Operationcroissant Parisians arrive in London, bearing croissants and love letters to convince their neighbours to stay in the EU. The co-author of the report, Professor Swati Dhingra, was the latest to agree with warnings from the British Treasury that a Leave vote would be a shock to the UK economy and rattle global financial markets. A study by the London School of Economics found that BREXIT could lead to a fall in national income equivalent to that of the financial crash of 2008. Facts? Leading economic institutions in Britain – the Institute for Fiscal Studies, NIESR, and the London School of Economics’ Centre for Economic Performance – have warned quitting the EU’s single market would make the UK “financially worse off"
• A recession causing job losses will become significantly more likely due to the shock and uncertainty of Brexit. With interest rates near zero and debt still high, the Bank of England and Government would have limited ability to prevent such a recession. • A drop in the pound and increased tariffs on imports will cause the costs of everyday goods to go up increasing inflation. • Investment in the UK will drop harming innovation and future job growth. • These impacts will fall most heavily on households with middle and low incomes. • Less growth means less government revenue which means higher taxes and less to spend on services like the NHS. Leave will say these points are 'Project Fear'. We say they are 'Project Reality'. What consequences will Britain's EU referendum have for both the UK and the rest of Europe? In a series of papers published as a collaboration between EUROPP and CIDOB (the Barcelona Centre for International Affairs), LSE authors analyse the prospects for three scenarios - a Bremain, a 'soft' Brexit and a 'harsh' Brexit. Swati Dhingra discusses what would happen in the case of a 'soft' Brexit, which is defined as the UK exiting the EU without a significant deterioration in relations between Britain and other EU countries. The full papers are available here. Start with the economics. Patrick Minford of Cardiff University suggests that, under this option, UK economic welfare would rise by 4 per cent after Brexit. The economy would also end up specialising in services and lose manufacturing. In analysing the same option, economists at the London School of Economics reach a quite different conclusion: a reduction of 2.3 per cent in welfare, only marginally less than the 2.6 per cent reduction they believe would follow a Brexit without such unilateral reductions in tariffs. A report by the Centre for Economic Performance (CEP) at the London School of Economics released last week published similar findings. The report said that in an “optimistic” scenario, the UK leaving the EU would knock off £850 per household. In a “pessimistic” scenario with larger increases in trade costs, Brexit will lower average incomes by £1,700 per household. Even aside from the economic consequences of a Leave vote (and read this LSE demolition of the Brexit case), the immediate future for Britain could be very ugly indeed. How do ‘Economists for Brexit' manage to defy the laws of gravity? The possibility of the UK leaving the European Union (EU) has generated an unusual degree of consensus among economists. Acrimony and rancour surrounded debates around austerity and joining the euro, but analysis from the Bank of England to the OECD to academia has all concluded that Brexit would make us economically worse off. The disagreement is mainly over the degree of impoverishment (for example, Dhingra et al, 2016a; OECD, 2016; HM Treasury, 2016; PWC, 2016; NIESR, 2016). Perhaps the one exception is the recent and much publicised work of 'Economists for Brexit' (2016). Since any coherent economic case for leaving the EU was been largely 'missing in action', it is refreshing to get some clarity over the Leave campaign's vision of the UK's post-Brexit economic arrangements. The only modelling details provided by Economists for Brexit come from Professor Patrick Minford of Cardiff University (Minford, 2015; 2016; Minford et al, 2016). He argues that Brexit will raise the UK's welfare by 4% as a result of increased trade. Free nursery care for three year olds has made little or no improvement in primary school exam results, a nine-year study has revealed as academics say the Labour policy has had 'no impact'. ... However, the first and largest study on how effective the policy has been has shown there has been little in the way of academic improvement for children age 7 and 11. ... Dr Jo Blanden, one of the researchers and senior lecturer in economics at the University of Surrey, said the policy was not effective because free care was of lesser quality than private one. The claim, however, that migration is a drain on the welfare state is false. EU migrants for the most part move to Britain to work, and a study by the London School of Economics has shown that they are net contribu¬tors to the economy as a result of the taxes they pay. Research for the Centre for Economic Performance at the LSE examines the impact of mobile phone bans on pupils' academic achievement in subsequent years. The researchers, Louis Philippe Beland at Louisiana State University, and Richard Murphy at the University of Texas at Austin, surveyed schools in Birmingham, Leicester, London and Manchester about their mobile phone policies since 2001 and combined it with results data from externally marked national exams. The London School of Economics' Centre for Economic Performance calculates that the long-term costs to Britain of lower trade with the EU could be as high as 9.5% of GDP, while the fall in foreign investment could cost 3.4% of GDP or more. Those costs alone dwarf the potential gains from Brexit. Britain's net contribution to the EU budget amounted to only 0.35% of GDP last year, and scrapping EU regulation would bring limited benefits, because the UK's labor and product markets are already among the freest in the world. See the complete set of CEP Brexit Analysis research papers here. This morning's national insurance figures have further stoked the debate about immigration, and the extent to which leaving the EU would make a difference. Many British people are concerned that high levels of immigration have hurt their jobs, wages and quality of life. ... So it does make sense that many people believe this immigration wave has hurt UK workers and think that leaving the EU would make things better. To investigate this we crunched the most recent data and scoured the evidence in our new report. The bottom line is that EU immigration has not significantly harmed the pay, jobs or public services enjoyed by Britons. In fact, for the most part it has made us better off. Far from EU immigration being a 'necessary evil' that we must bear in order to gain access to the greater trade and foreign investment generated by the EU Single Market, immigration is at worst neutral and at best another economic benefit of membership. Research published last year by the London School of Economics found that banning mobile phones affected school pupils according to their ability. ''Banning mobile phones improves outcomes for the low-achieving students ... and has no significant impact on high-achievers,'' it concluded. The overwhelming weight of independent opinion - from the International Monetary Fund to the OECD, from the London School of Economics to the Institute for Fiscal Studies - also supports the fact that Britain will suffer an immediate economic shock, and then be permanently poorer for the long-term. Teaching reading in itself is pointless. All the phonics, decoding skills and whole-word recognition in the world are a waste of time unless you then develop children as real readers. ... The trouble with learning the mechanics - of almost anything - is that if you don't immediately and continuously apply what you've learned, you lose the skills. That is probably why The Centre for Economic Performance recently reported that by the age of 11, having been exposed to phonics at an earlier age makes no difference to a child's reading. It also explains the alarming recent observation from the University of Sheffield that many undergraduates are unable to read whole books. We are failing to develop readers. Although phonics - breaking words down into their constituent parts - has been one of the main ways in which parents and teachers teach children to read for many years, new research from the London School of Economics (LSE) has shown that the method is not demonstrably better than other ways of learning to read. ... However, the study did find that the use of phonics could help particular groups of pupils who may be more likely to be disadvantaged in learning to read, such as those from deprived backgrounds or children who have English as a second language. The study also gave phonics as a teaching method its broad approval, noting that it was a simply and cost-effective way of teaching children to read. A large-scale study tracking the progress of more than 270 000 students has concluded that teaching reading through a synthetic phonics programme has long-term benefits for children from poorer backgrounds and those who do not speak English as a first language. The analysis, from the Centre for Economic Performance (CEP) at the London School of Economics, also found the teaching method has large initial benefits for all students at age five and age seven. CEP Public Lecture on April 27, 2016: 'To Brexit or not to Brexit: a taxing question' given by Angel Gurria, Secretary-General of the Organisation for Economic Co-operation and Development (OECD). Moderator: Dr Thomas Sampson; Chair: Professor Lord Stern. Mention of OECD Brexit event hosted by CEP. From middle schools to colleges, cellphones' adverse effects on student achievement may outweigh their potential as a learning tool. The head of the Organisation for Economic Co-operation and Development said on Wednesday that he saw no potential benefits for the British economy if voters decide to leave the European Union at a referendum in June. Angel Gurria said a new OECD report showed a hit to British economic growth under all scenarios if the country left the EU compared with a decision to stay in the bloc. ''The best outcome is still worse than remaining and the worst outcomes are very bad indeed,'' he said in a speech at the London School of Economics as the OECD published its report on the impact of a so-called Brexit. SIR - I noted with interest the research from the London School of Economics into the use of synthetic phonics in schools. Phonics is a highly effective method of helping children who are behind with reading to catch up. However, I strongly believe that this teaching method should be employed for all children, not just those ''at risk of struggling''. It is great if all children end up at the same stage by the age of 11 - but waiting until disadvantaged children have been identified might put that at risk. Furthermore, phonics should continue to be taught beyond the age of 11. When children begin secondary school it is expected that they are able to read, when in fact all they have done so far is master the primary curriculum. I worry they are often underprepared to deal with unfamiliar, academic language independently. Advanced phonics equips children with the skills to decode these words and gain a proper understanding of language. 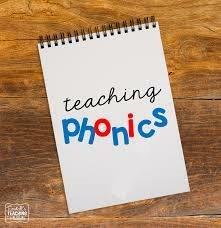 Phonics - A hit or a miss? If ever there was evidence needed for education in the interpretation of media messages, this coverage would be really useful! Experienced teachers who’d been perfectly content with their old methods were forced to jettison their tried and trusted methods and embrace phonics. A new study at the London School of Economics, however, shows those taught to read by other methods achieve the same standard as synthetics phonics pupils by the age of 11. Sandra McNally interviewed for the drivetime show, discussing recently published research on teaching reading with 'synthetic phonics'. Traditional teaching methods championed by Government do not improve children's reading skills, a landmark London School of Economics (LSE) study shows. Teaching children in a way in which words are broken down into their constituent parts, also known as phonics, does help those children from disadvantaged backgrounds and those who don't have English as their first language. However, the method has had 'no measurable effect on pupils reading scores at age 11', the LSE's Centre for Economic Performance (CEP) said. But the Government has defended phonics as a previous analysis of the results had shown that children taught using phonics are two years ahead of the national average. An ''inexpensive trial'' policy improved all pupils' literacy in the early years and had long-term effects on children who struggle with reading, a major new study has found. The ''teaching to teach'' literacy study, which sent phonics consultants to support primary school teachers and tracked 270,000 primary school children from reception to year 6, showed persistent effects on non-native English speakers and pupils eligible for free school meals. Study author Sandra McNally, Director of the Education and Skills Programme at the Centre for Economic Performance, said the ''inequality-reducing impact'' of the intervention alone justified the cost of implementation, which was ''much lower'' compared to other proven strategies such as reducing class size. The study by the Centre for Economic Performance (CEP) at the London School of Economics (LSE) is the first large-scale analysis of the effects of using the method, which teaches children to read by identifying and pronouncing sounds rather than individual letters. The phonics system used in all schools to teach children to read has no long-term benefits for the average child, a major study finds today. Government policy requires every primary school to use phonics as a way of teaching literacy to young children. They are taught the sounds made by letter groups and how to blend these together, allowing them to decode words. However, the universal benefit of the programme is called into question in a large-scale study, which tracked the progress of more than 270,000 pupils. Welcome to the latest issue of Best Evidence in Brief, brought to you by the Johns Hopkins School of Education's Center for Research and Reform in Education and the Institute for Effective Education at The University of York. Every two weeks we provide a round-up of items of interest related to education research. A working paper from the UK's Centre for Economic Performance considers the impact of the introduction of synthetic phonics in English schools. Using synthetic phonics to teach children how to read can have considerable long-term benefits for pupils from disadvantaged backgrounds and those who do not have English as a first language, according to a new study by the Centre for Economic Performance(CEP). Researchers at the CEP, which is based at the London School of Economics (LSE), tracked the progress of more than 270,000 children in 150 local authorities. They found that children taught to read using phonics made better progress by age seven than those taught using other methods. However, those lagging behind would catch up later. An assessment of more than 270,000 children by LSE's Centre for Economic Performance (CEP) discovered that those who were learning phonetically had developed far better by age seven than those using traditional methods. The frustrating thing is that politicians seem quite happy to ignore evidence - even when they have helped to support the researchers who produced it. For example, when the chancellor George Osborne announced in his budget last month that all English schools were to become academies, making them independent of the local government, he did so on the basis of faith alone. The Sutton Trust, an educational charity which funds numerous research projects, warned that on the question of whether academies had fulfilled their original mission of improving failing schools in poorer areas, ''our evidence suggests a mixed picture''. Researchers at the LSE's Centre for Economic Performance had a blunter description of Osborne's new policy: ''a non-evidence based shot in the dark''. How would Brexit impact the financial industry? Whether Britain loses access to the single market depends on the terms of any exit. Under the optimistic scenario, Britain would join the European Economic Area as non-member countries like Norway and Switzerland have done, says Thomas Sampson, assistant professor of economics at the London School of Economics. Membership in that area provides full single-market access. Under the pessimistic scenario, Britain wouldn't join the European Economic Area. ''Then there would be bilateral negotiations between Britain and the EU over what kind of access Britain has,'' says Sampson. Research for the London School of Economics Centre for Economic Performance, published on Friday, estimated that foreign direct investment in Britain could decline by 22 percent if voters choose to leave the EU, reducing incomes by about 3.4 percent. The analysis, carried out by Swati Dhingra, Gianmarco Ottaviano, Thomas Sampson and John Van Reenen, found that reduced access to the single market, complexities in coordination between headquarters and local branch offices and uncertainty over trade agreements with the EU would deter investors. Gill Wyness, lecturer in the economics of education at the UCL Institute of Education, said that St John's students would welcome the funding but warned that a move towards support coming from universities rather than the government was a ''worrying prospect''. Dr Wyness said that, since less prestigious universities had less money but more students from poorer backgrounds to support, the likely outcome was increased variation in the value of financial support, and increased income inequality in higher education. Since the early 1960s, with developments in the field of human capital research, analysis of the returns to education has established robust evidence of a strong positive association between earnings and years of schooling or level of qualification attained. But there has been little analysis of how returns vary according to the level of academic performance - for example, what US universities measure as students' 'grade point average' - conditional on the level of qualification. In phase three, after the negotiated settlement, the economic effects are the subject of wide and varying analysis and speculation, based largely on the eventual outcome of the settlement. Put simply, there are two main variables: what will the settlement be and what are the effects of such a settlement? Most economic studies report that Brexit would damage the UK economy. Three recent reports from Centre for Economic Performance, the CBI/PWC and Oxford Economics all consider that in the worst case scenario the long-term effects would average about minus £4,000 per annum per household, while the best outcome would vary from minus £680 to plus £70. Martin Wolf, associate editor and chief economic commentator of the FT, forthright as usual, says: ''A vote for Brexit is a leap into the abyss''. UK Industry and Financial ''establishment'' figures are prominent amongst those predicting an unfavourable outcome for Brexit. EU Referendum - Reality check: would Brexit cost every household £850? The UK leaving the European Union would knock £850 off the average UK household's income, according to a report from the Centre for Economic Performance (CEP) at the London School of Economics. And that's its conclusion taking an ''optimistic'' view. The pessimistic conclusion from the report is £1,700 per household. All schools will become academies, announced George Osborne in his 2016 Budget speech. But the impact of such mass rollout on students' performance is uncertain, explain Andrew Eyles and Stephen Machin. Last year a London School of Economics study found that banning phones from school boosts exam results and benefits low-achieving and low-income pupils the most. Ban smart phones, improve student grades? In an article entitled 'Be happy, pay more to the taxman', Professor Richard Layard argues that it is the income gap, rather than total wealth that is most pertinent to people's happiness. Studies show, writes Layard, that we are no happier than we were 50 years ago despite ''unparalleled economic growth''. The London School of Economics' Center for Economic Policy[sic] has calculated that, even if trade barriers with other European countries do not significantly increase, per capita income in Britain will fall by between 1.1 percent and 3.1 percent after a Brexit. ''The possibility of trading more with the rest of the world can't offset the loss of trade with the EU,'' said the center's Thomas Sampson. In June, UK voters will decide whether to remain part of the EU. This column explores the UK's options if a majority votes in favour of Brexit. One possibility is for the UK, like Norway, to join the European Economic Area and thereby retain access to the European Single Market. An alternative would be to negotiate bilateral treaties with the EU, as Switzerland has done. All options, however, involve a trade-off between political sovereignty and economic benefits. Dr Swati Dhingra discusses the concept of free trade. Also on eight other local BBC radio stations. Are billionaires more likely to be graduates? And a study published this week by the Centre for Economic Performance at the LSE showed the link between degree grade and subsequent earning power in the UK. ï»¿The study shows that those who get a first or a 2:1 - earn more than those getting a 2:2 or a third. It looked at graduates who were born in 1970 and graduated in 1991, and found those with first of 2:1 degrees earned 7-9 per cent more five years after graduation. The study, published by the London School of Economics, also found that the gap between earnings according to university performance is also widening as more people opt for a university education. The study, Graduate Returns, Degree Class Premia and Higher Education Expansion in the UK, published by the Centre for Economic Performance at the London School of Economics, finds that, five years after university, graduates who qualified with a 2:1 or higher can expect to earn 7%-9% more than their counterparts with inferior degrees. Yet for all the ministerial airmiles and silver goblets, the country’s exports have remained fairly flat, and have been getting worse since 2012, certainly compared with those of the other big rich economies in the G7. The value of Britain’s exports fell by 1.5% in 2014 from 2013—the only G7 country where exports dropped—and last year’s figures were hardly inspiring, with a 1.5% fall in the three months to November compared with a year earlier. “It has been a disappointment, especially after the devaluation of sterling in 2008-09,” says John Van Reenen, head of the Centre for Economic Performance at the London School of Economics (LSE). C'è un costo addizionale della disoccupazione dei padri: il crollo del rendimento scolastico dei figli. Lo sostiene un'economista spagnola, Jenifer Ruiz-Valenzuela, del Centre for Economic Performance - London School of Economics: sulla base di una lunga indagine condotta su 358 studenti che frequentavano la scuola dell'obbligo nella provincia di Barcellona, e che ha coperto cinque anni scolastici, dal 2007-2008 fino al 2011-2012, Valenzuola è arrivata alla conclusione che la perdita del lavoro del padre si traduce in una diminuzione del rendimento scolastico pari al 13% rispetto alla deviazione standard. "Quest'effetto - spiega l'economista sul sito "Nada es gratis" - varia a seconda del sottogruppo considerato: si concentra, e l'ampiezza è anche maggiore, tra gli studenti i cui genitori hanno un livello d'istruzione più basso e soffrono maggiori periodi di disoccupazione". Las noticias sobre el mercado laboral, y en particular sobre la evolución de la tasa de paro, han ocupado telediarios y no pocos artículos de prensa desde el inicio de la crisis en España. Cómo resumía en esta entrada en NEG, la evidencia empírica ha mostrado efectos desfavorables de la pérdida de trabajo para el propio trabajador (v.g., pérdidas salariales a corto plazo que parecen persistir en el largo plazo, mayor riesgo de divorcio o peor salud mental y física). Jeni Ruiz-Valenzuela's blog article on the negative effect of fathers' unemployment on their children based on Spain's great recession. Guy Michaels discusses his study of the economic impact of floods and likelihood of people moving from flooding areas. Cross-cutting capabilities: This project is being led by Professor Lord Richard Layard of the London School of Economics and will assess and develop methods of understanding how policy and practice can affect wellbeing. It will look at the effect of different factors on wellbeing, analyse the impact of wellbeing on other outcomes and develop a framework for cost effectiveness analysis with wellbeing as the measure of benefit. It will also carry out a “life course” analysis, looking at how important early life is to wellbeing in later years. Nick is a visiting Professor at King’s College London, and chairs the Policy Committee at the Centre for Economic Performance at the London School of Economics. Centre for Economic Performance Policy Committee info.